In an exclusive interview for Sky News, Rob Hattrell said that Brexit was "an opportunity" for the companies who used eBay's trading platform. "That opportunity comes mainly in export so we have seen a growth of export products from the UK from the moment Brexit was announced," he said. 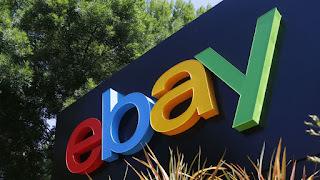 Mr Hattrell, who took over running eBay UK earlier this year, claimed that response was not simply to do with currency movements, but also because of the "strong entrepreneurial streak" of British small businesses, creating products "that are loved and looked for all over the world". "These businesses are very agile," he said. "They are able to redevelop and reconfigure, and respond to macroeconomic challenges at enormous speed. "That is crucial to being able to survive when you have a customer population that is changing how it shops on a constant basis."